ROSEBUD, South Dakota — On Wednesday morning, April 16th, the Rosebud Sioux Tribe passed a resolution prohibiting the mega-load trucks and other TransCanada Keystone XL transport vehicles from using Rosebud Reservation Highways. The mega-load trucks are carrying materials to extract and ship tar sands in Alberta, Canada. The tribe has openly positioned itself against the Keystone XL pipeline, which runs by the Rosebud Reservation in South Dakota and poses a threat to drinking water. Should the proposed pipeline break or leak, toxic bitumen would threaten the Missouri River and Oglala Aquifer, sources of drinking water and farmland irrigation that people in this region depend on for survival. 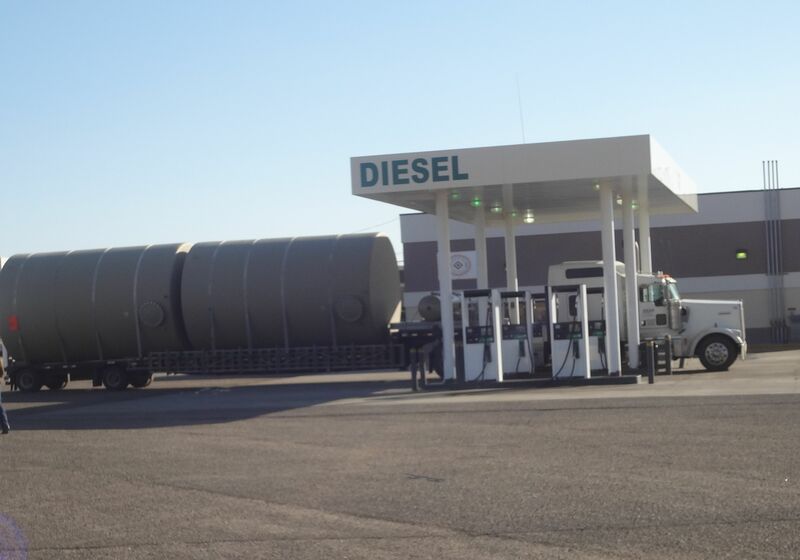 On Monday evening tribal members and police officers turned mega-load shipments around at the Rosebud Fuel Plaza, refusing them access to the reservation highways. Activists in Idaho and Montana have also been fighting the mega-load shipments, with some success. Nez Perce tribal members successfully blockaded mega-load trucks on Highway 12 in Idaho, and in September of 2013 a federal judge ruled that mega-loads could not take that route. The Rosebud Sioux Tribe is hosting a spiritual camp in opposition to the Keystone XL pipeline and inviting people to come pray that the project be rejected. You can read more about that on Fueling Dissent’s previous post.